Just engaged and don’t know where to begin. Before you dive into pinterest and bridal magazines take a look at our video. 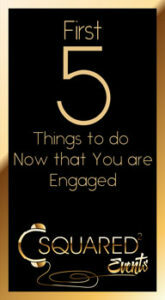 First 5 Things to do Now that You are Engaged from C Squared Events on Vimeo.